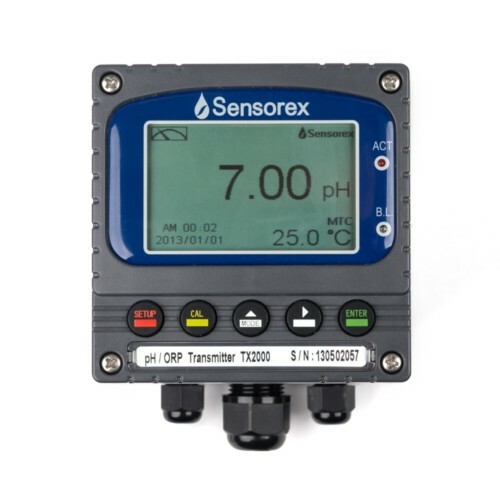 Our TX20 Automatic pH Controller is a convenient and cost effective solution for monitoring and maintaining both pH and ORP. This controller allows you to save space in your panel with its small footprint 1/8 DIN case. You can also use the two on/off relay outputs to program process control, including management of alarms and chemical dosage systems. 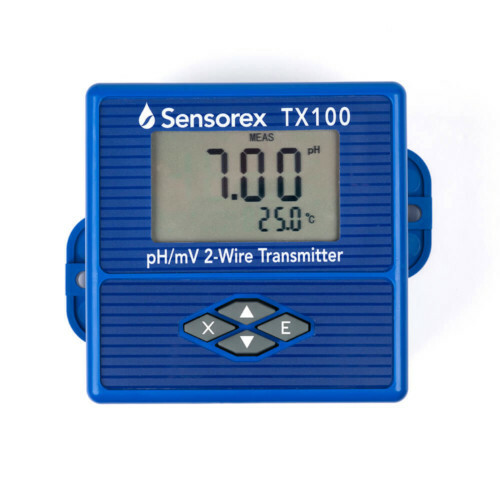 Note: The TX20 Automatic pH Controller is only compatible with sensors that have spade lug connectors. Our TX20 Automatic pH Controller is a convenient and cost effective solution for monitoring and maintaining pH and ORP. This controller allows you to save space in your panel with its small footprint 1/8 DIN case. You can also use the two on/off relay outputs to program process control, including management of alarms and chemical dosage systems. This controller is great – I’ve purchase 4x so far. Previously used Cole Parmer controllers, but when I got a bad batch I found Sensorex’s and have decided to transition over entirely. The sensor they use for connecting to pH probes is great – I haven’t had problems with ANYTHING I’ve plugged into it. Wiring is very easy, even interns could figure it out with little instruction. It’s at least $100 cheaper than the next option – give it a shot!